Home › Recipes › Mushroom Rice - Side Dish! Mushroom Rice - Side Dish! 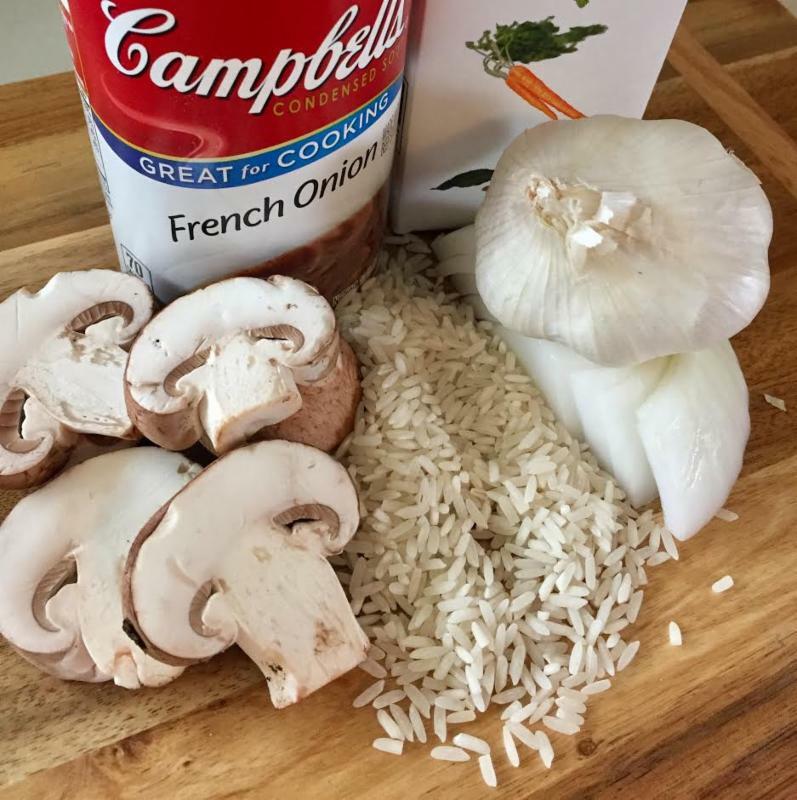 I went around and around trying to find the perfect mushroom rice recipe and I finally just combined my favorite elements from several and... it turned out great! My family described it as a sort of more elegant, (and more delicious!) rice-a-roni style side. Preheat oven to 350 degrees. In a frying pan, swirl in the olive oil and then add the mushrooms, onion and garlic. Cook over medium high heat, stirring occasionally, until softened. Add the cooked veggies, rice, soup and broth to a 2 quart casserole pan. Cover with foil and bake for 1 hour. Serve hot with your favorite fish dish!